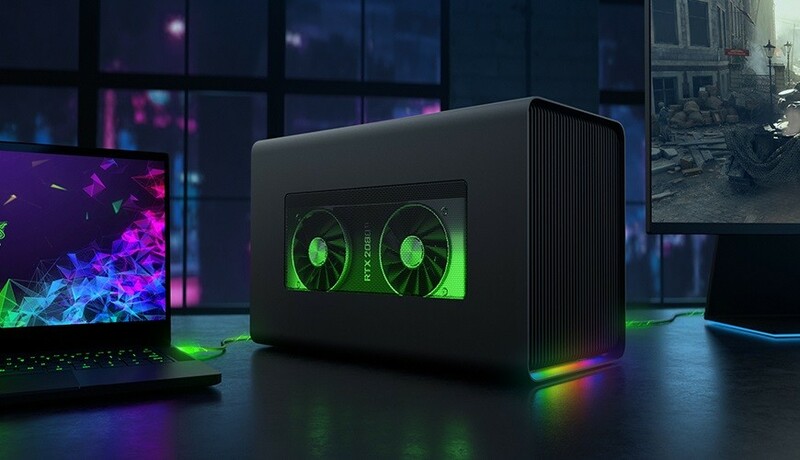 Razer introduced today a new external GPU case designed to provide consumers desktop-like graphics processing power on their Windows laptops and MacBooks. 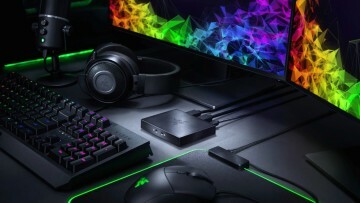 The Razer Core X Chroma succeeds last year's Core X and features a 700W power supply, USB and Gigabit Ethernet ports, and Razer Chroma lighting. It can also accommodate up to three slot-wide desktop graphics cards. The external graphic enclosure is compatible with Thunderbolt 3 Windows laptops and MacBooks. It works with the Razer Blade Stealth 13, Razer Blade 15, and the Razer Blade Pro 17 with GeForce GTX 1060. Requirements for Windows 10 laptops include external graphics support and the latest Windows RS5 update. 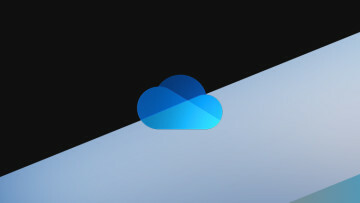 For Mac systems, the macOS version must be High Sierra 10.13.4 or later with compatible AMD Radeon cards. The Core X Chroma also comes with a Thunderbolt dual-chip design to help keep a stable performance by distributing the load. This setup works by using the single Thunderbolt 3 cable in order to manage both graphic and peripheral data. Additionally, its aluminum case is lined with two Razer Chroma RGB lighting zones that can be customized using Razer Synapse 3 software on Windows PCs and you can choose from Razer Chroma’s 16.8 million different colors. The Core X Chroma goes on sale today via Razer's online storefront for $400 or €430. It's also available at select stores in the U.S., Canada, UK, France, Germany, and the Nordics, with Razer planning to release it in China, Australia, Hong Kong, Japan, Singapore, South Korea, and Taiwan in the future.